Starting in mid-June this year, the GAA will start to offer a dedicated online streaming service for GAA Championship. This is aimed at expats wanting to view the games from abroad. 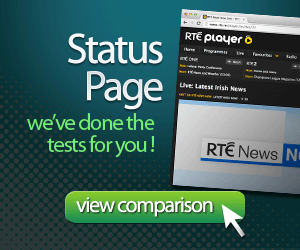 The new streaming service brought to you is in association with the RTÉ Player. The service will be similar to the online streaming that RTE are already provide to customers in Ireland. Now it’s possible to legally watch some of the main GAA Football and Hurling Championship games online ! 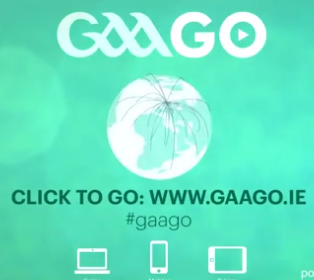 GAAGO will be viewable on iPad and Andriod apps as well as certain TV apps and through your computer browser. You can buy your season pass here. There is a field for a promo-code when you are signing up. Now it doesn’t give you a discount, but if you use MCDE007 on signup, 10% will be donated to Munich GAA club. The main news here is the price, prices for 2014 will be €110 (about $150 USD) for access to all the 45 televised games. Broken down per game it will cost €2.45 per game. Unless you are a die hard fan, we doubt that you will go for this option. Generally you might only want to see your own counties’ game and the quarter finals, semi finals and finals. This would be closer to 15 games you would watch and this would bring your average price per game up to €7.30. Some of the individual games, like the semi-finals & finals will cost €14 for a one off purchase. Because of the Sky’s deal with the GAA the number of games that can be broadcast online is lower, and in the UK the price for GAAGO will be €60 for up to 25 games. Also it’s worth noting that if you are in Australia you will be able to watch the GAA games live on Channel7 for free. GAAGO also offers on-demand prices. where you can buy a pass just for a particular game. This might be more reasonable for users who want to watch a particular game while travelling or if it’s of significant importance. We guess that in the event of a reply you will need to pay again for access. Earlier we had mentioned our unhappiness that Sky had access to games, putting an extra hurdle for people in Ireland and the United Kingdom to watch certain games. And in Australia you will be able to watch the same content for free. There seems to be some inconsistencies in the policy for broadcasting our national games in different regions. 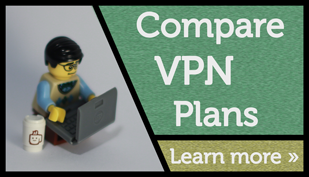 We think that these prices will still mean that people will try to get around the restrictions using proxies or VPNs or other streaming services to access this content. Paying an estimated €7.50 – €14 per game is probably still above the pain threshold for most people to take our their wallets. We reckon that fans will still watch the game in Irish pubs, where possible. Also this content is free if you are in Australia, but you will have to pay if you are in the US or Europe. In the case that people pay an entry to get into bars to view the game (this often happens in the US) perhaps these customers will elect to stay at home and invite a few friends over instead. We feel that these prices are about twice as expensive as they should be. The cost of streaming an hour of TV online is now in the fraction of cents so this is no longer a prohibiting cost. Apparently the GAA has done their market research, so let’s see if there will be many people, besides Irish pub owners, buying this subscription. For those of you who want to see how this service works you can view Tyrone vs Down on this Sunday. You can find out more information about the service on www.gaago.ie . You can see the rest of the Championship fixtures here, with details of what ones are available in what region. 8 Responses to "GAAGO – GAA on demand service"
This was posted in a less appropriate thread. Sorry for the dup. I read the FAQ’s and the TOS very closely looking for specific restrictions that would prevent me from watching the one little slice of enjoyment I’d hoped to have since June, 2013 during the Semi-Final, my friend in KK didn’t let me know about GAAGO until just before. I was ecstatic! I’ve not watched a single murikan professional ‘sports’ game other than a Superbowl(so I could spend an afternoon with my dad). I couldn’t have been happier to have this opportunity to share the sport I love and get so much out of even though I can’t even watch it other than YouTube videos. We decided to watch at his house since he has a better TV, we both have 55 DL cable connections w/continuous 23-26 Mbs DL speeds(5Mbs was the min(?) suggestion by GAAGO for the HD stream… LOL –after a week or so of failure I borrowed a 12 year old winXP comp and sure enough it worked. kinda. at 24Mbs continuous speeds it was nearly unwatchable at the lowest res! At 480p it would buffer a min or two for every 20-30 seconds it would play, over 480p it would only buffer w/1-2 second blips of video. The audio would play crisp and clean at the highest resolution. My hardware is good and recently tested and all my old cables thrown away and new, upgraded & tested ones installed. A new 64 bit computer with a reasonably knowledgeable user who actually took the time to read the FAQ’s and TOS, and it was one of the most frustrating experiences but dealing with the people selling out amateur athletes at the GAA and RTE was worse. Sad. I spent well over 15 hours, 7 just trying over a dozen devices on the day of the match alone. The day that mom prepared food, KK jersey was washed, a first-timer there to join me watch what may be the last time my favorite team and the most amazing and successful team will ever take the field as a whole(sorry Eddie PJ and others, didn’t forget ya), and the incompetence, greed, dishonesty, and so much more turned what should have been a great day into one that I can’t describe. No loved ones died, nothing tragic but it was an eye opener to how wrong things have become… Unable to view a match that incidentally my local cable company carries all the RTE’s and TG4! but not my state, 5 miles away in the next state they do. They claim they want to help spread the sport yet are so blinded by greed they can’t see how much they are hurting it. Or just don’t care. I didn’t think it possible but the shenanigans that are pulled by the GAA and RTE(now Sky I guess) wouldn’t ever fly here in the land of greed. TG4 should be the only station to be allowed to show GAA anything as they’re the only one’s not to show utter disregard for the athletes and fans. Not to mention much much better camera work on TG4. Anyone else have issues with the inaccurate TOS and FAQ’s. Or the incompetence of the staff. Any suggestions for a fan that missed yesterdays match and the Tipp v Cork semi who could use a bit of joy, few hours of stress free enjoyment and some time with me da? Thanks for reading, love to hear from you. I’ll check back here. Slan. Sorry to hear about that HB. Did you ask them for a refund ? We’ve seen many reports over the weekend that GAAGO just isn’t dependable, but there were quite a good few people saying that if you use SMART DNS and the RTÉ player you will be fine. love to watch the tipp / galway game but if the rte player is anything to go by im not risking 14 euro for a blank screen. what happened with the channel 7 deal in australia. yis are off yer ceanns if u think anyone is going to pay for the rte player type of stream. Just tested Overplay with RTE and it seems to be working right now Mick. Edit 2 : have you tried TG4 Live with Overplay: ? they have some women’s games if that is any good to you.